Romance and Anguilla go hand in hand. This small island become more popular after the Bachelor was filmed at one of the 5 star resorts on the island in February 2011. It’s still relatively unknown but is gaining popularity as a gorgeous Caribbean island for those who want to get away from the crowds and have a healthy honeymoon budget. Anguilla will give you some bragging rights since we doubt that too many of your friends have already honeymooned on this island. 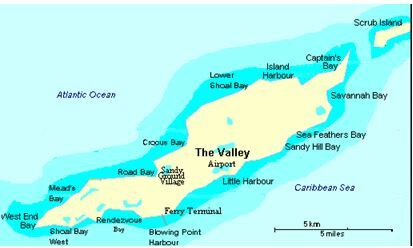 While the island is not very big (only 16 miles in length and 35 sq miles total) Anguilla has 30 beaches. Simply put, Anguilla is one of the most beautiful of the Caribbean islands and can rival some the more exotic islands around the world. 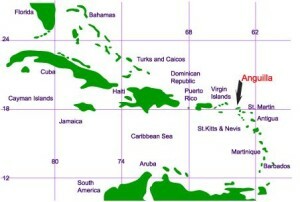 If you look at a map of the Caribbean, Anguilla is closest to Saint Martin. It’s the northern most island in the Leeward Island chain. When is the best time to honeymoon in Anguilla? Northeastern trade winds keep Anguilla relatively cool and dry. Average annual temperature is 80°F. June–October is its hottest period and August – November will be the wettest. December–February is the coolest time in Anguilla. High season runs from mid-December to mid-April when it’s cold in the U.S, Canada and Europe. The weeks around Christmas and New Years can double the already high prices so for those who are trying to plan a more reasonably priced honeymoon and avoid some of the wetter weather, mid-November to mid-December or in late April or May might be a good time to go. September is a time when many of the hotels and restaurants close down. Anguilla is becoming a luxury honeymoon destination with luxury romantic, and upscale resorts but it has still kept its laid-back character that makes it less touristy than its neighbors. You’ll likely see goats wandering in the streets and hear reggae music from passing cars. You may be lucky enough to see turtles laying their eggs on the beach. What you won’t find are the huge all inclusive resorts lining the beaches like many of the more popular honeymoon destinations. Luxury hotels are sprinkled along the beaches making Anguilla a great place for those who want to relax and be pampered. One of the biggest draw is the beaches, which some consider to be among the most beautiful in the world. Its soft white sand and turquoise water attract visitors to this tiny island paradise. Anguilla is not for people who want to spend their honeymoon at clubs or casinos. This is the ideal island for you if you are looking for a blissful honeymoon. 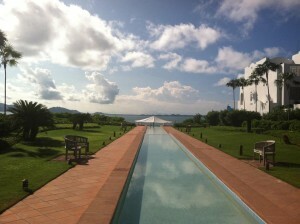 What about the dining in Anguilla? Remember that there are no all inclusive resorts in Anguilla and the beauty of that is that you can experience the local cuisine. The island has a range of restaurants, from roadside barbecues to casual eateries to elegant and refined dining experiences. While day time dress in restaurants is casual, and shorts may be fine, dinner is another matter. Plan on slacks and a collared or button down shirt for men and casual dresses for women. Some of island’s most upscale restaurants may require more formal attire, such as a jacket and tie for men. 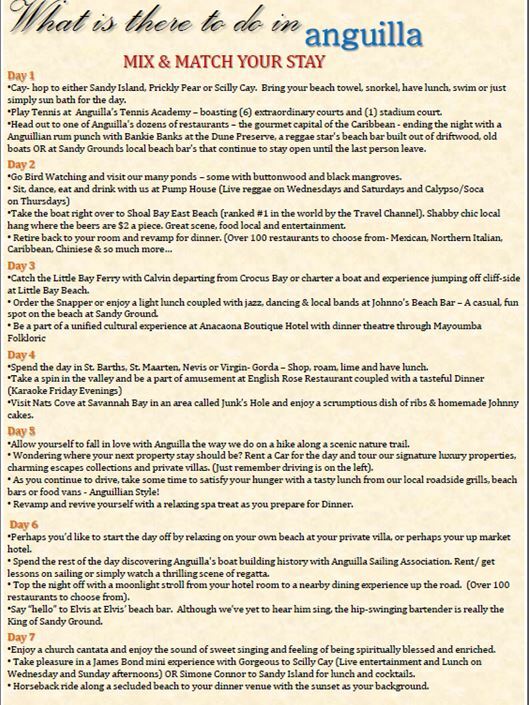 What is there to see and do in Anguilla? Honeymooners have a wide array of activities in which they may choose to participate. There is something for everyone, whether it’s water sports, visiting museums, or relaxing in its many spa and wellness centers. You can explore the island on your own, by renting a car, bicycle or scooter and it’s possible to visit even the most remote parts of Anguilla easily and safely. Or you can arrange a private tour through a taxi driver or through your hotel or accommodation concierge. Anguilla’s waters teem with exotic fish, and several ship wrecks off the coast provide a haven for snorkelers and divers alike. Anguilla boasts five marine parks: Dog Island, Prickly Pear/Seal Island, Sandy Island, Little Bay, and Shoal Bay/Island Harbor. For PADI certified divers, dive sites include wreck dives, shore dives, mini wall dives, night dives and heritage diving. Sailing to some of Anguilla’s offshore cays or secluded beaches might be a great way to experience some of the island’s most pristine beaches. With a few popular 5 star resorts in Anguilla, this honeymoon will not be inexpensive. There may be some special rates during low season (offering free nights) but in the winter months, be prepared for a pricey honeymoon— typically starting at around $1000 per night. Summer months are very different and the prices fall dramatically- about 40% less. What is the best way to get to Anguilla? While there is an airport in Anguilla, there is nothing nonstop into that airport and you’ll be taking a smaller flight from San Juan. A good option is to fly into Saint Martin and take the ferry over to Anguilla. My Vacation Lady can help arrange the ferry and transfers if you would like a more seamless honeymoon. So is Anguilla the right honeymoon destination for you? Without trying to sound repetitive, Anguilla is not going to be an inexpensive honeymoon destination and without any all inclusive resorts, you will have a good amount of out of pocket expenses but if you are looking for gorgeous and secluded beaches, top notch resorts and bragging rights within a reasonable amount of travel time from many cities in the U.S., Anguilla is certainly worth a look. My Vacation Lady won’t be the first to tell you that your honeymoon should be special but we are the best honeymoon specialists located in New Jersey to make it special according to the brides on both Wedding Wire and the Knot’s Wedding Channel. If you want the best, give us a call and see how our personal approach to honeymoon planning will make all the difference.